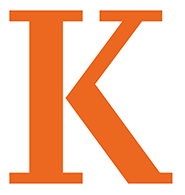 Congratulations to the following Kalamazoo College students, who achieved a grade point average of 3.5 or better for a full-time course load of at least three units, without failing or withdrawing from any course, during the Winter 2015 academic term. Kudos to the entire group of some 300 students, and good luck in Spring Term, 2015. This entry was posted in News Stories, Student Honors and Awards and tagged awards, deanʼs list, students, . Bookmark the permalink.